Check out images of Annie's vocation formation and then send us one of your own! Sean is collecting pictures of your religious rites-of-passage for a collage we'll display at the ordination. Email your favorite baptism/confirmation/kids program/ordination/div school graduation/choir/lector/church camp picture to ordination@edison-albright.com. Update! For those of you unable to attend, the rite will be streamed live to the web at http://www.livestream.com/aceordination. Feel free to test it out ahead of time for browser compatibility. On Sunday, August 1, Anne Edison-Albright was unanimously called as pastor of Redeemer Lutheran Church in Stevens Point, Wisconsin. Please join us in celebrating Annie's ordination on Saturday, September 18th. Leave your prayers and best wishes in our guestbook. 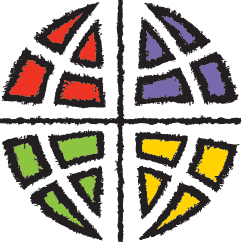 The Reverend James Justman, bishop of the East Central Synod of Wisconsin will officiate, the Reverend Kristina Weber will preside, and the Reverend Stephen Larson will preach. All singers are welcome to join the choir; rehearsal begins at 1:15p.m. No robes, just wear red! All service leaders and clergy, please arrive by 1:15 p.m.
St. Luke's – Annie's church home since 1989 – is in the process of expanding to become an even more welcoming presence in the community. In gratitude for their support, an offering will be received during the service to support St. Luke's building project. Cupcake potluck to follow at the First United Methodist Church, just a short walk away from St. Luke's (map, parking.) Please RSVP to bring your favorite cupcakes, or if you can loan us a cupcake stand. Please have all cupcakes and stands at the Methodist Church between 11 a.m. and noon. Point Root Beer, brewed in Stevens Point, will be provided. Redeemer Lutheran Church is a congregation of the Evangelical Lutheran Church in America, located in Stevens Point, WI. First organized as a mission development in 1993, Redeemer has a large, flexible worship space and is beginning a building project to add classrooms and more gathering spaces. Their emphasis on creative worship and servant ministry is exemplified by their mission to Gather as the people of Christ, Grow as his disciples, and Go to serve others in his name. We've just moved to Stevens Point, Wisconsin. Annie's most accurate contact information can always be found on our webpage. Also, feel free to drop her a note in the guestbook. Download and print a copy of the invitation (PDF).